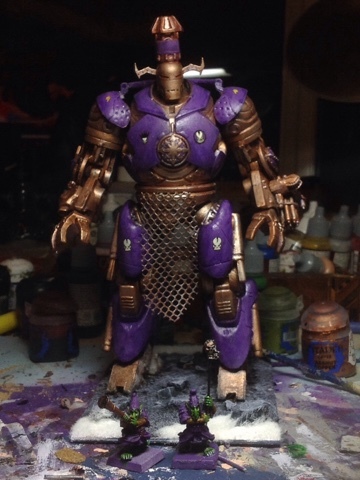 This is my take on the Kadim Titan. The base model is a toy war monger from the Iron Man 1 toy range. A few transfers and a custom big hat to make hit fit in with the rest of the big hats. You can see from the hobgoblins in front which given the rules for this monster seems the appropriate size and scale.